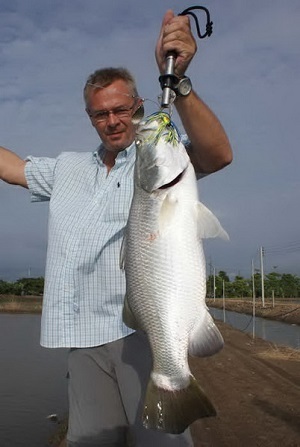 German angler and Chiang Mai resident Reiner visited the Barramundi ponds complex in Chachoengsao. 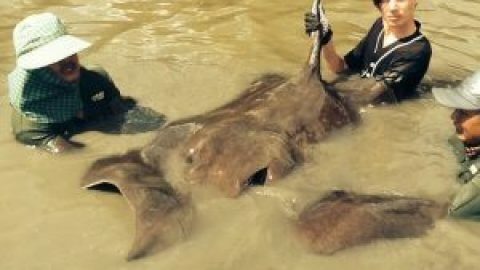 Reiner was accompanied by Boy to the highly prolific lure fishing venue and fished at various ponds in the complex using a variety of poppers and diving lures to tempt Barramundi to the 7kg mark. Reiner used his own outfit and captured over twenty fish in a few short hours.